1. Offer help on Import & Export registration for drugs and medical devices. 2. Provide Assistance for Import & Export of API and food. 4. New drug R&D and application for approval. Welcome to our company for business discussions. With approval of Chifeng Civil Affairs Bureau, Chifeng Sunrise Rare Disease Care Center, a public welfare organization, was established in May, 2015 which devoting to rare disease caring. It has come into service by organizing doctors, volunteers, family members to provide professional service to the children, to help family in need and the society, and to create social value for Sunrise! 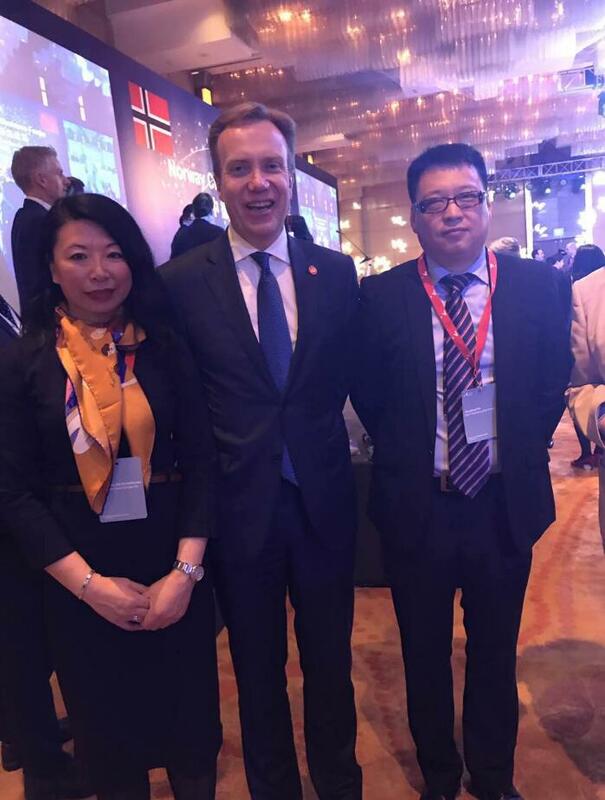 With the normalization of China-Norway bilateral relations, Norway China Business Forum was held on 8th, April. The deputation led by Norway’s Prime Minister Erna Solberg participated in the forum. Chifeng Sunrise Pharmaceutical Technology Co.Ltd. was invited to the signing ceremony, making it one of the 10 companies that signed during Norway’s Prime Minister’s visit to China of this time. Mr. Sky Sun, general manager of Chifeng Sunrise Pharmaceutical Technology Co.Ltd., participated in the forum. Opening speech from Mrs. Erna Solberg, Prime Minister of Norway. leader and Mrs. Monica Mӕland, Minister of Trade & Industry. The photograph of Mr. Børge Brende, Minister of Foreign Affairs with signatories. The photograph of Mrs. Monica Mӕland, Minister of Trade & Industry with signatories. The signing this time received full blessing from both China and Norway. This encourages Sunrise to forge ahead, adhere to the concept of “be intentional, be professional” to make a further contribution to the area of FSMP for children.